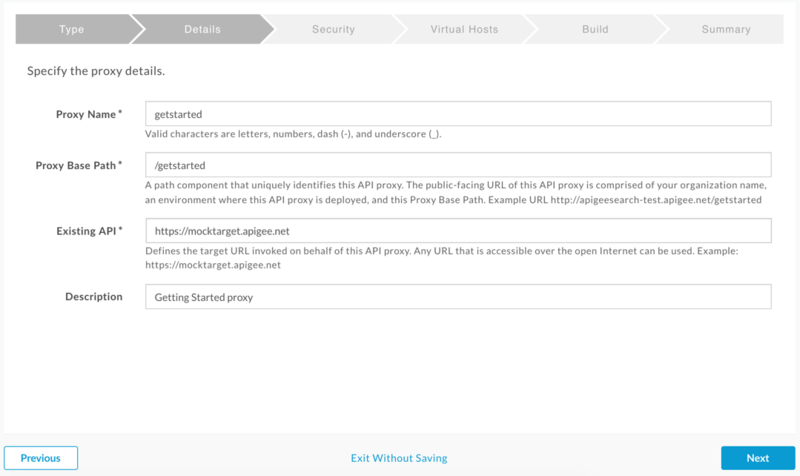 Now that you've created your Apigee account, you're ready to create a simple API proxy. Open the Edge Management UI in a browser and log in. Select Reverse proxy (most common), and click Next. Apigee then displays the Details screen. Proxy Name: Enter "getstarted". If a proxy already exists with this name, choose a different name. Proxy Base Path: Change this to "/getstarted". The Proxy Base Path is part of the URL used to make requests to your API. 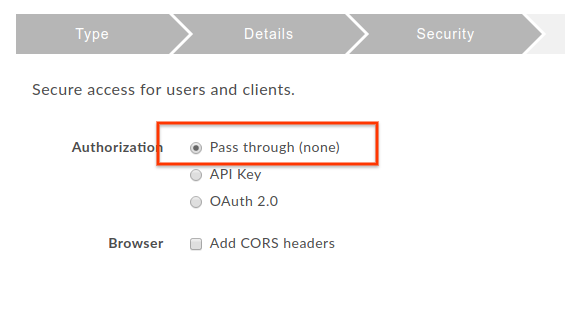 Edge uses the URL to match and route incoming requests to the proper API proxy. Existing API: Enter "https://mocktarget.apigee.net". This defines the target URL that Apigee Edge invokes on a request to the API proxy. 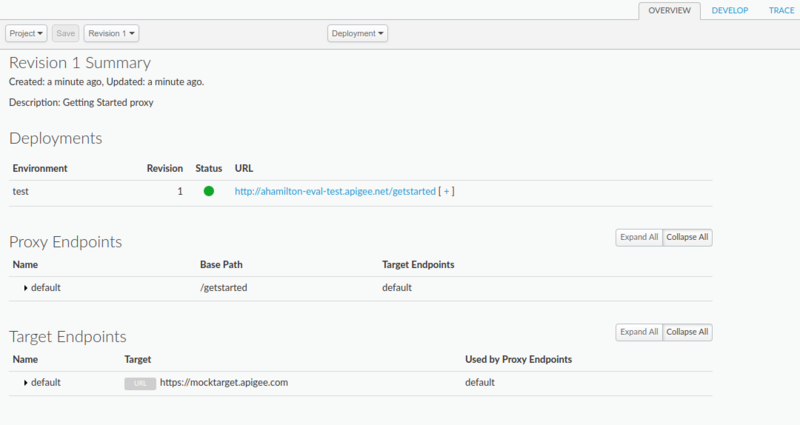 The mocktarget service is hosted at Apigee and returns simple data. It requires no API key or access token. 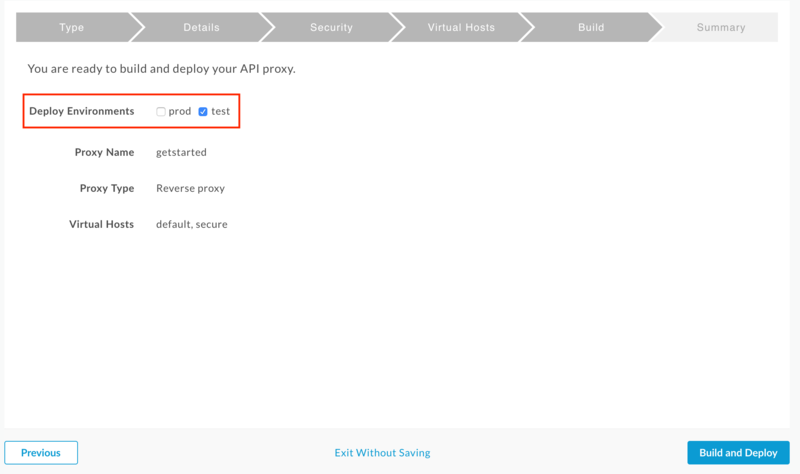 (Optional) Description: Enter a description for your new API proxy, such as "Getting Started proxy". On the Virtual Hosts screen, accept the default selections and click Next. As a result, you can send requests to either, but this tutorial uses HTTPS. You've created a simple API proxy. Next you'll test it to see how it works.